Moving a home is a process which can naturally be stressful. This is why, if you're faced with the prospect of having to move a house by a certain date, you should go through things one step at a time. The first thing to do is hire a dependable, professional removal firm in Dartmouth Park, NW5. Moving Service has movers who have helped a lot of people relocate over the years whether it's locally, nationally or internationally. Our resources mean we are not only a removals company for all occasions but also one that believes in giving a personal service that is caring, friendly and helpful at every turn. So, you'll find when you call us, our customer service staff is always able to assist you whilst being polite and accommodating. In addition, we have various removal services to ease the process on your removal day as well as assist you in the days after your house move. 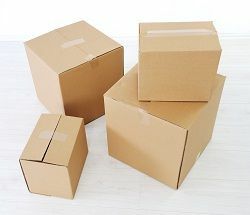 This includes things like having a packing and unpacking service which can save you so much time and effort. We can also supply you, at a great low price, packaging materials as well as packing supplies. Choosing us, you're hiring a removals company that has everything you want at a price that is just remarkable. To find out about our prices now, you can call us on 020 8746 4402. 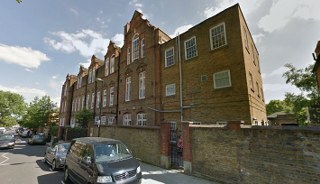 Situated in North London, in the borough of Camden, the area lies between Highgate and Kentish Town. The area is named after the Earl of Dartmouth who bought land in the area during the 18th century. Nowadays, it's a relatively quiet residential area with detached and semi-detached housing in addition to Edwardian and Victorian buildings. The most convenient tube station is Tufnell Park which is on the Northern Line. Kentish Town Railway Station is further south whilst Gospel Oak Station is to the west. Main thoroughfares in the district include Chetwynd Road, York Rise, Dartmouth Park Hill and Highgate Road. Highgate Cemetery is also just a short distance away from Dartmouth Park Hill. The area is mainly built on a slope as it rises up towards Highgate. Parliament Hill is in the same NW5 postcode area and, apart from its historical significance, offers fantastic views over much of London. Hampstead Heath is also on its doorstep just to the west. House moving can be stressful for everyone whether you're a student moving into new accommodation for the first time or if you're a family moving to the other side of the country. No matter it's a man and van service in Dartmouth Park, NW5 or whether you need more than one removal truck, in regards to the actual transport you receive it will be exceptional. We have removal trucks which have features such as GPS and lifts and they are always clean and well maintained. Our employees are extensively trained so they know how to handle every type of item which is an essential part of being the better removals company we strive to be. Essentially, we strive to be the moving company you want us to be and that means making your removals day pleasant experience with no unwanted surprises. We can give you a combination of lower prices and a highly respected exceptional removal service and it's this that makes us so popular now and which has made us so popular over the years. For more information about our moving firm and to receive your free quote you'll be delighted with, you can call us now on 020 8746 4402. Moving Service gives you removals in Dartmouth Park from start to finish, from your old home to your new home, that will please you in every way. We're in Dartmouth Park and found all these ads for this removal company and thought, "they've got great reviews. Let's give them a shot." It was absolutely the right call.